This is my first time participating in an Operation Write Home challenge. 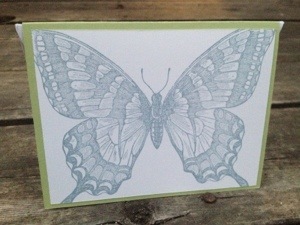 Swallowtail is my favorite stamp in the annual catalog. I loved it in the Spring catalog and was ecstatic when it was carried over into the annual. It makes the easiest Clean and Simple cards. 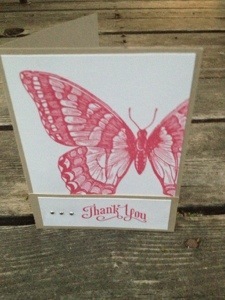 This entry was posted in Clean and Simple, OWH on June 12, 2013 by katzcreates. This is gorgeous! What a beautiful stamp. Your card is wonderful! I really like the simplicity of it, but it is so elegant. I am also participating in the OWH challenge for the first time.